My initial Step 1 study plan was a bomb. More to the point, my study plan shifted constantly. First I tried writing and re-writing my notes. Then I tried memorizing First Aid. It took me a while to realize my lack of a clear plan was sabotaging my chances. Gradually, my attention shifted from tactics to my daily habits. My habits drove my actions, which accelerated my learning. My retention improved, and my scores skyrocketed. I learned that the best Step 1 study plan isn’t a series of hacks or elaborate schedules. Instead, it is the sum of your habits and priorities over the two years preceding Step 1. What does your Step 1 study plan prioritize? Your priorities will determine which practices you should embrace or avoid. A useful habit in one case may oppose another. You will see how each of these habits supports the priorities of my Step 1 study plan. Habits are inherently neither good nor bad. Instead, your goals, practices, and execution will determine your success. Here is the Ten Habit Step 1 study plan I used to score 270. For success on the USMLE Step 1 or other board exams, you must master the material. Mastery is difficult. By contrast, it’s simple to do well on most medical school exams. Medical school exams draw from rote lecture material and emphasize memorization over understanding. Consequently, students believe the myth they don’t have to understand to succeed. When they begin preparing for the USMLE Step 1, they’ve already lost a lot of time. No Step 1 study plan can fully overcome two years of memorization in two months of dedicated study. Your best option is to master the material from Day 1. Your next best choice is to start now. Mastering material takes much longer than memorizing it. So, once you’ve mastered the content, you must never forget it. You have only enough time to learn everything once. I discovered spaced repetition during M1, and its potential for unbounded memory was mesmerizing. It was frustrating to forget what I had mastered. By remembering the information, I could prevent re-learning it. My Step 1 study plan included finishing my Anki cards every day. I never slept before finishing my reviews. I did my cards on vacation, and even the evening after my Step 1 exam. Now, it takes 20-30 minutes daily to do my Anki cards. I’ve made more than 20,000 reviews, but fewer than 100 are due at any time. I can remember everything I mastered in my medical training in less than an hour daily. Many students accelerate both mastery and retention using the Yousmle Anki cards. 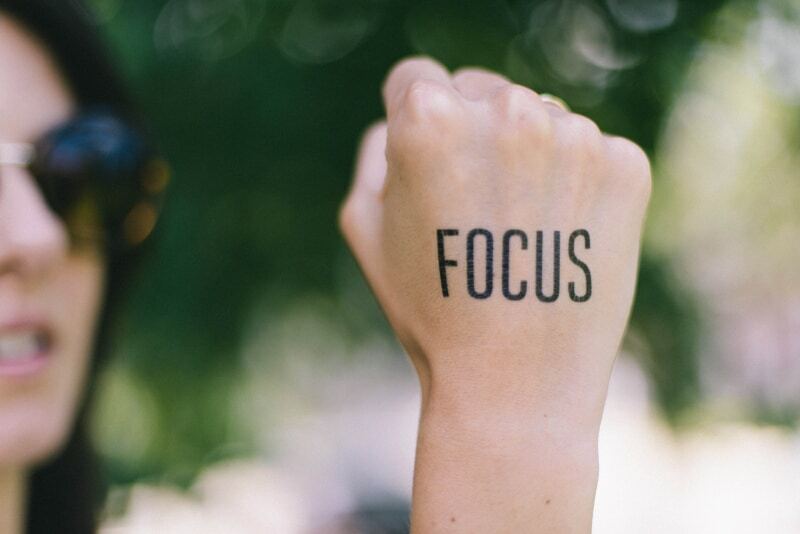 You improve productivity by increasing the time spent or the intensity/quality of your focus. Most medical students are at their wit’s end; the idea of extra studying gives them GERD. Instead, I improved my ability to concentrate. Instead of studying more, I maximized the quality of my time. For more tips on how to do this, read Habits #4, #5, and #6. Early to bed accomplishes two goals. First, I wake up early; mornings are my most productive time of the day. Second, I’m well-rested and able to concentrate. Concentration and discipline vary depending on the time of day. For example, today I woke up at 6 AM without an alarm and did 94 Anki reviews in only 20 minutes. That’s blazing. At night, this many cards would take 2-4x as long. When I’m tired, I focus less and get distracted more. Youtube has never sucked me in at 7 AM. At night? That’s an entirely different story. Your ability to focus each day is also proportional to hours slept. Discipline and self-control are finite and dynamic. By getting 8 hours of sleep consistently, I never needed caffeine in medical school. I was always well-rested, which made studying easier the next day. This virtuous cycle made it easier to sleep early and accomplish more. One last thing. Some people are truly night owls and focus better at night. Should they be going to sleep early? Not necessarily. Like everything, this was my habit. You should sleep enough to maximize concentration. But maybe mornings aren’t your thing. Experiment with different sleep times to see your most effective time of day. Even if you are nocturnal, remember that clerkships require early wake-ups. Some students report getting up at 4 AM for their surgery clerkship. If you learn to become functional earlier in the morning, this transition will be easier. Mindfulness is the “nonjudgmental awareness of the present.” This meditative practice helps with well-being, anxiety, and the quality of your attention. I didn’t expect this final point, but boosting my concentration made mindfulness a perfect addition to my Step 1 study plan. At Stanford, I created a summer mindfulness course for medical students. In “body scan” exercises, we learned to direct attention to different parts of our bodies. In the process, we learned to “get out of our heads” and be more present. We soothed our stressors and honed our attention. During my boards studying, I would do one of these practices every night before sleep. As a result, I slept like a baby and my attention was laser-like. Taking Step 1 was blissful. Standardized exams used to induce panic, so the contrast was dramatic. I took my MCAT on 2 hours of sleep, couldn’t concentrate, and nodded off during the writing section. On Step 1, I was in the zone. Instead of getting distracted and having to re-read passages, I read every sentence only once. Daily meditation helped me score 270 on Step 1. I’ve experimented with different mindfulness programs. One I am using currently is Headspace. Internet companies make billions by siphoning our attention. In the process, our focus becomes fragmented, and the quality degraded. Most of the internet felt like a daily assault on my Step 1 study plan. Email, news sites, and Minnesota sports teams tempted me. Instead, I blocked these on a schedule by using Freedom. Every morning during medical school, I would block all Internet use for two hours. Internet free mornings created the space to do genuinely focused work. I would still allow myself my guilty internet pleasures, but I wouldn’t let them enslave me. I continue this practice to this day. During residency, I didn’t buy a smartphone so I could read/study on the Boston Metro on my daily commute. These days, I block my access to e-mail on my phone and computer from 6 PM to noon the next day. Because I can do more focused work, I feel more accomplished. By creating dedicated time for distractions, I enjoy them more. “Chase one rabbit, catch it. Chase two, catch neither.” These are the wise words of my Stanford advisor, Dr. Oscar Salvatierra. You can use this habit in almost every situation. Many first-year Stanford classmates siphoned their time into research projects or shadowing. Instead, I focused on mastering and retaining the boards relevant material from class. Once I developed a system for mastery and retention, I added other things. I did a year-long HHMI research fellowship and found productive shadowing. But I chased each rabbit one at a time. In medical school anxiety is inevitable, and its effects are pernicious. Ignorance of your stressors can derail even the best Step 1 study plan. Stress is silent and powerful. I’ve seen students drop 50+ points from their predicted Step 1 score. They panicked and started guessing. I’ve also seen students improve by 20+ points in a week by overcoming their anxiety. I buried my anxiety for years, culminating in a panic attack during my second year of college. I was ignorant of my stress until someone asked me what worried me. As I spoke, all my anxieties welled up and overwhelmed me. But then something unusual happened. By naming my fears, their power disappeared. One by one, as I realized why I was anxious, calm emerged. Why am I worried? I want to do well on Step 1. WHY do I want to do well on Step 1? Because I don’t want to close any doors for myself. Why is that so important? Because I don’t know what specialty I want to do yet. And so on until I identified my root anxiety. Identifying root anxieties relieves my other resulting worries. One insight from 15+ years of journaling: insecurities and focusing on things I can’t control drive most of my anxieties. Why was I so worried about my Step 1 score? Because I couldn’t directly affect it. Plus, like so many others, I conflated my self-worth with my exam scores. This misplaced sense of identity was driven by the core insecurity that I was fundamentally lacking. Realizing that my worries are stemming from the same core fears helps immensely. To relieve anxiety with journaling, write three things every day. Be as specific as possible. What are you stressed about? What exactly is so stressful? Prepare to go deep. What are three things you appreciate? Gratitude improves happiness and relieves stress. What are three things you want to improve? Overcoming your anxiety will improve your focus and happiness. It’s not enough to learn the content. You need to use it. One of the best ways to use it in your preclinical years is to teach others. As part of my Step 1 study plan, I maximized opportunities to teach other students. During my second year, I tutored other Stanford medical students and TA’d two courses. Often, the material made sense in one way to me. However, I needed to see it in other ways to teach it. Other people will ask things you haven’t considered. A fast way to deepen your knowledge is to educate someone else. It’s much better to be the tortoise than the hare. I’m not brilliant, and I didn’t grasp anything immediately. Instead, I would grind until I could make sense of a topic. My advantage was that I did this for every single class topic starting midway through my first year. The accumulated benefits over the two years before Step 1 were immense. Whatever priorities and habits you establish, the key is consistency. In a vacuum, these habits may appear strange. Because you understand my priority was efficient mastery and retention, my Ten Habit Step 1 study plan makes sense. Perhaps that is the most important lesson. The priorities that you set (or don’t set) will clarify your path, and help you to determine the best habits to adopt. I share these habits not to be an exact guide for you to follow. Instead, think about your priorities, and what habits you might adopt to achieve them. What do you think? What are your priorities, and what habits have you chosen to achieve them? Let us know in the comments!